NEW GRANT OPPORTUNITY - The Stinson/Bolinas Community Fund is pleased to announce a new opportunity in addition to our regular semi-annual Community Grants program. This new program, named “Arts Grants,” supports artists wanting to create an arts performance or exhibit in Stinson Beach and/or Bolinas. We are looking to fund projects that enrich the community and use art to bring the community together. The presentation can be for any age group(s) and can take place at any location accessible to the community. No admission fee may be charged. Two Arts Grants of up to $1,000.00 each will be awarded in June and December. Click here for more details. Two Arts Grants of up to $1,000.00 each will be awarded in June and December. Artists applying for these Arts Grants may also apply for one of the S/BCF’s regular semi-annual Community Grants, although not for the same project. 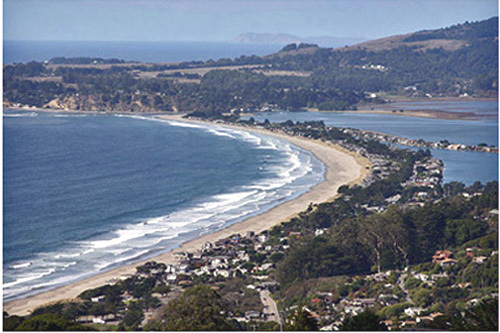 The Stinson/Bolinas Community Fund was created in 1998 by a group of community members who pooled their charitable dollars to provide an ongoing source of funding for projects that benefit the Stinson Beach and Bolinas communities. Since then, the Fund has distributed over $1,000,000 to more than 450 local projects and organizations. The Stinson/Bolinas Community Fund Grants Program distributes grants twice a year. Donors who contribute $1,500 or more to the Fund are invited to join a committee that reviews grant applications and recommend the projects to be supported through this community effort. The maximum grant the Fund provides to each grantee through its Community Grants program is $3,000 per grant cycle and the maximum provided through its Arts Grants program is $1000.